Originally, I had planned to do two things during my St. Thomas vacation: sit by the pool and sip fruity cocktails. With such a beautiful setting awaiting me on my solo trip, rest and relaxation sounded like the perfect way to fill my time on the island. Beach chair: here I come! After 24 hours of minimal movement, though, my body craved exercise. Luckily, I discovered plenty of opportunities for adventure in St. Thomas — both by land and by sea. If you need to give resting a rest like I did, follow my lead and give one or all of these immersive activities a try. From stand-up paddle boarding to kayaking, they’re sure to get you moving. Plus, a little bit of heart-pumping action made my beach chair all the more comfortable when I returned to it! Snorkel with turtles near Charlotte Amalie. As a wannabe mermaid, snorkeling is often my water sport of choice. 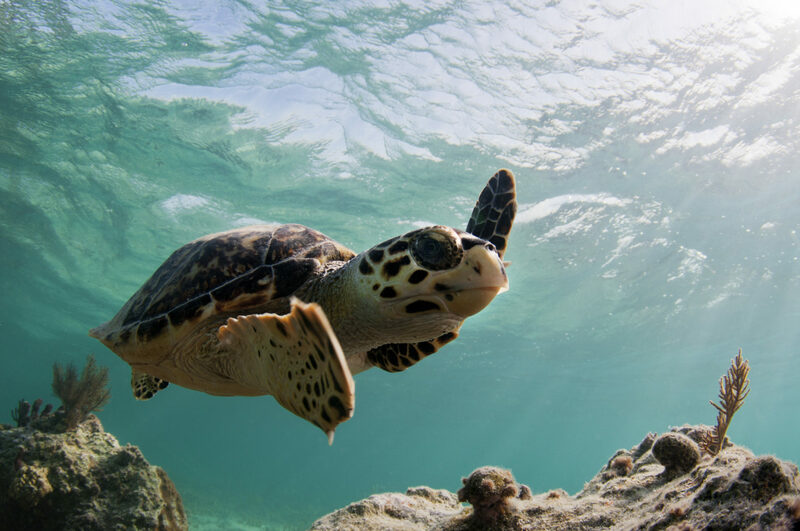 St. Thomas is a premier snorkeling and diving spot; several tours off the coast of Charlotte Amalie will get you up close and personal with sea turtles and other natural wildlife. 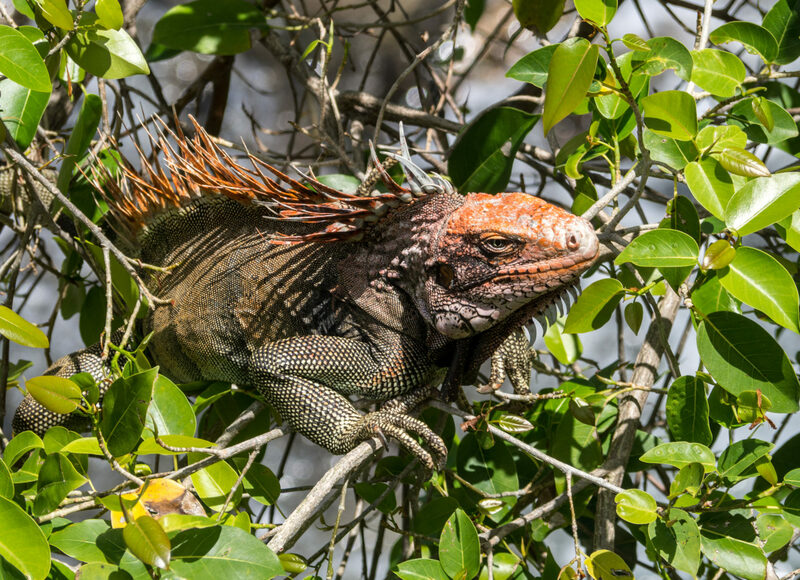 Most excursions are great for all skill levels and include pickup and dropoff from your hotel, along with a beachside lunch at a local restaurant and snorkel gear. I signed up for a group tour and, after our instructor went over the basics and conducted a safety briefing, I was off and snorkeling. I brought along my GoPro and took lots of underwater photos as I swam near sea turtles and other marine life. 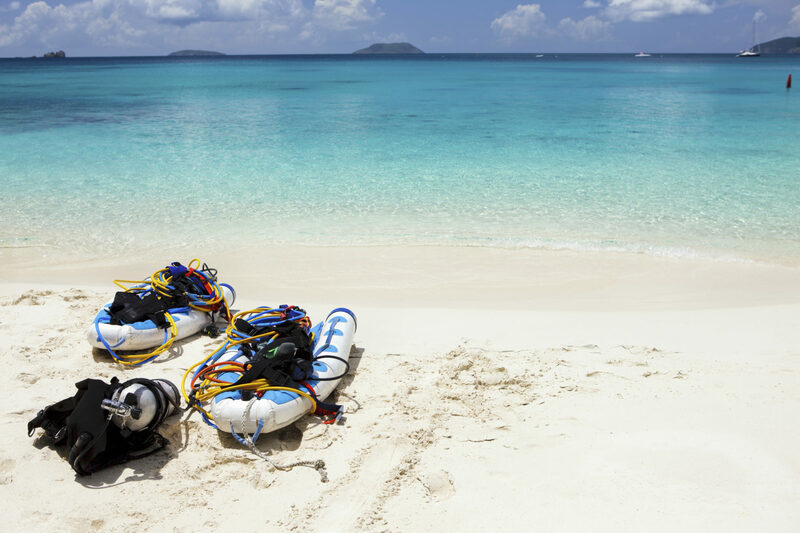 Can’t decide between snorkeling and scuba diving? Neither could I, which is how I discovered snuba — a snorkeling and scuba diving hybrid. It’s a great choice for those who, like me, aren’t scuba certified. I just had to complete a short orientation from a snuba guide, and then I was on my way. I had snorkeled the day before and was excited to push my limits, particularly because I could now swim 20 feet below the surface. Our dive at Coral World lasted roughly 30 minutes, but it felt like a fraction of that. Time really does fly underwater! Kayak through the Mangrove Lagoon. 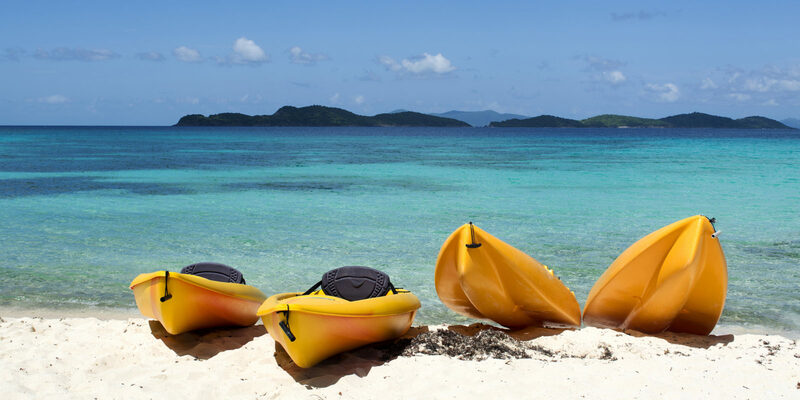 As much as I enjoy high-impact water sports, I’m still up for more leisurely exploration — and St. Thomas has that, too. So I spent a few hours kayaking through the Mangrove Lagoon, a wildlife sanctuary and marine reserve that is home to coral reefs and groups of reef fish. You can choose from several tour options, but since I had only a few hours to spare, I rented a kayak and explored the lagoon solo. It was a great way to tour the lush landscape at my own pace. Before setting out, a guide gave me a few paddling tips and directions to major sites, including a handful of secluded cays and a blowhole. Surrounded by mangrove trees on either side of the narrow lagoon waterways, I reveled happily in the stillness of it all. Stand-up paddleboard by Hull Bay. Similar to kayaking, I found stand-up paddle boarding (SUP) to be a major workout for my upper body. Group tours for beginners and rentals are available; I took a session on Hull Bay, which is bordered by a quiet beach on the north side of the island. SUP may look easy, but it takes some practice to get it down! That said, I found my balance more quickly than I expected. Once I was in the groove, I looked around and spotted coral reefs, sea turtles and even stingrays through the clear water. Next time, I think I’ll take things a step further by practicing a few yoga poses on my board! Tour the town by bike. As much as I gravitate toward water sports while in I’m in the Caribbean, I enjoyed skipping the beach one day to hit the streets. Instead of signing up for a group tour, I rented a bike and explored the historic downtown of Charlotte Amalie. Since I was in the mood for a relaxed ride, I stuck to the level areas downtown and near the beach. Along the way I stopped for snacks and selfies, especially come sunset, when I had a picnic by the beach. 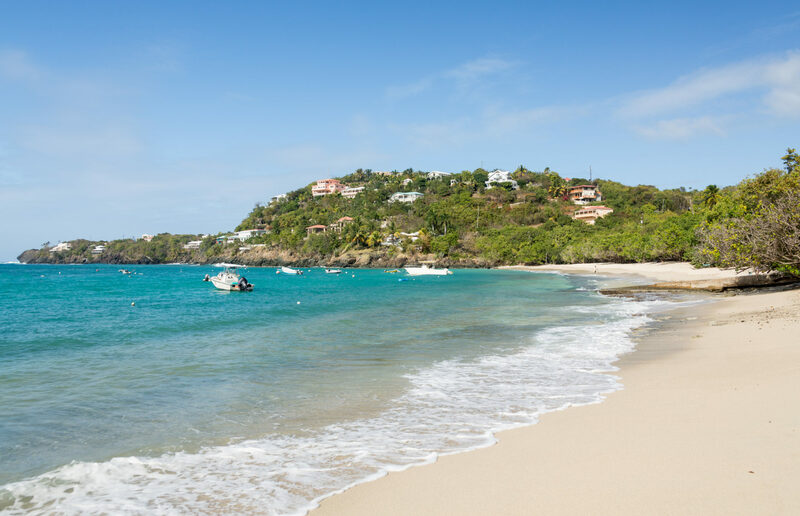 For more active adventures, you can go for a swim at Magens Bay, ranked among the most beautiful beaches in the world! 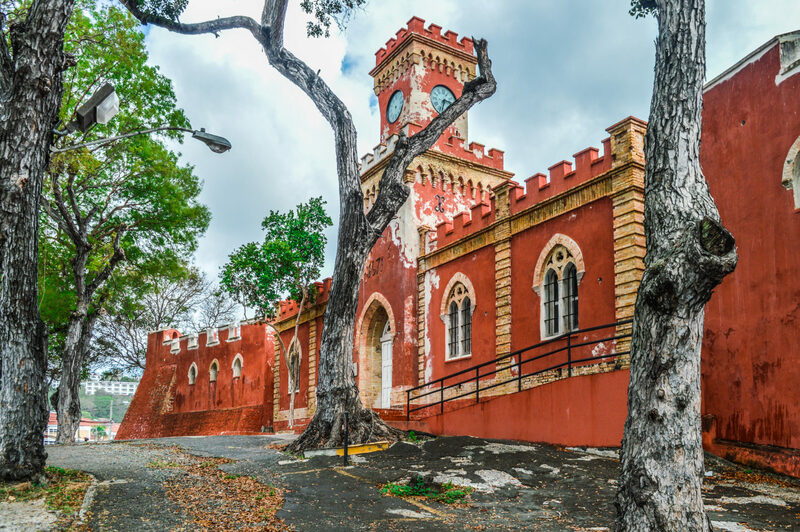 Or get a bird’s-eye view of St. Thomas by climbing the island’s historic 99 steps to reach the summit of Government Hill. Fancy a day trip? Hop on the ferry to nearby Saint John and visit the 6,000-acre national park there.